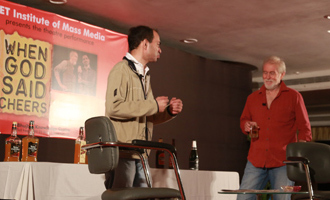 MET Institute of Mass Media presented the play ‘When God Said Cheers’. The play was written by Anurag Kashyap and directed by Cyrus F Dastur. The Cast included Padmashree awardee veteran actor Tom Alter, Cyrus F. Dastur, Auxilia Sequeira and Vikrant Sakhalkar.